You remember my Spring wish list from the other day, right? If not, here is a refresher. While the weather still hasn’t made me feel like Spring is in the air, there was one bright and bold item from that collection that immediately put a smile on my face (and had me running to the store to buy it!). Any ideas which one it may have been? After spotting this Mossimo tote on Polyvore, I knew I needed it for Spring. 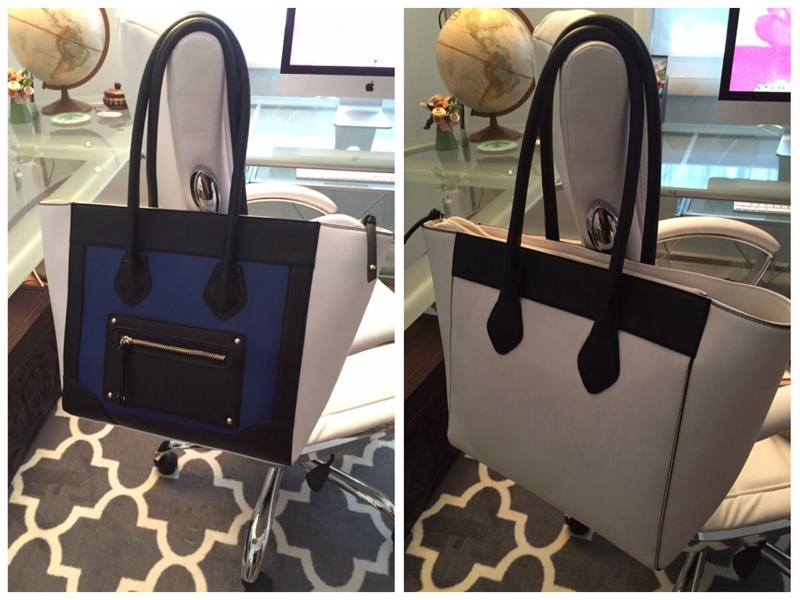 The color-blocked bag was love at first sight. Although the more neutral version with a hint of pink was nice, the blue was striking. The perfect tote for work or play, this sleek bag with its zippered top and convenient pockets inside for your phone and other essentials will easily become an everyday staple…and a great accessory to any outfit. Did I mention the leopard interior? For $40, yes, really $40, you can’t go wrong with this bag. The only decision to make is whether you should buy two and have a winter version as well. I totally agree, Vanessa. I love the bag and can’t wait to use it come Spring. I just happened to stumble upon your blog and love it! 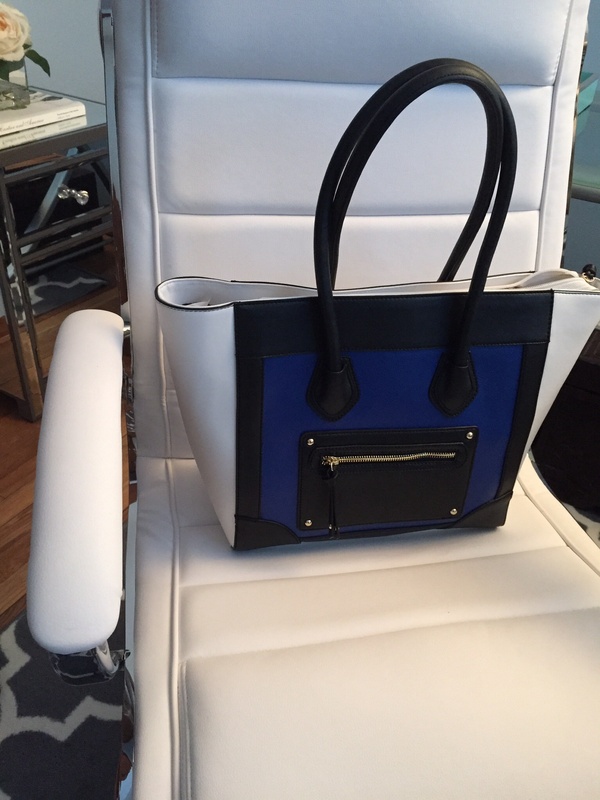 I am swooning over this bag! I hope you have a great day and I am looking forward to your next post! OMG. This bag is amazing. I had to read twice that it was $40. That’s insane. Yup! $40! It’s a great bag and I am so happy I snagged it.